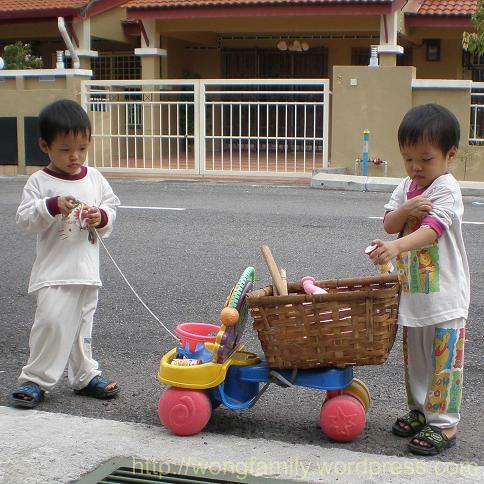 Jern Sarn Goes Gardening | Wong Family Inc.
En route to the ‘new’ backyard garden, the Twins set out with their ‘trolley’ of tools and organic material to tend to their plants. One pull in front and the other pushes the back and make sure that the trolley contents don’t fall off. P.S. trolley prepared by Ama at the Twins request. This entry was posted in The Kids on July 29, 2008 by wc9.